It may be the Hercegovinan part of me talking, but i LOVE this part of the country. The green landscapes are replaced by rocky hills. 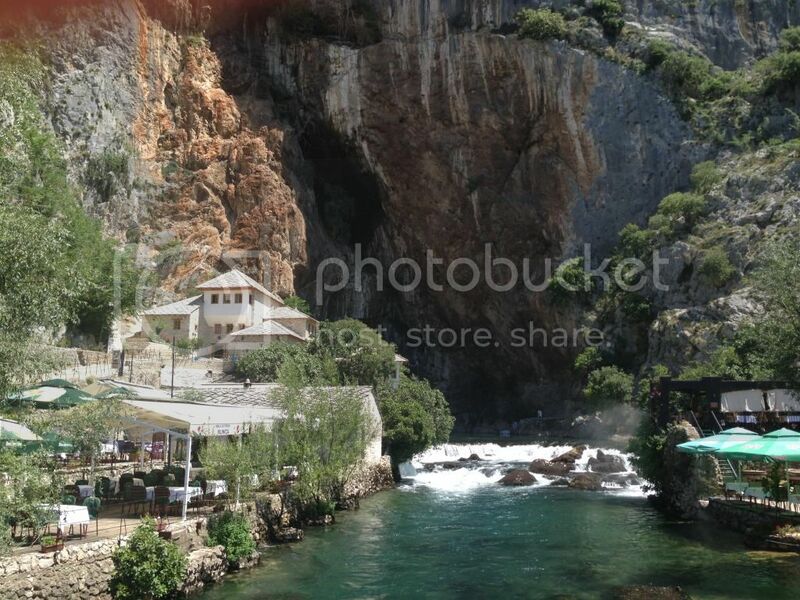 Mostar, Pocitelj, Kravice, Trebinje (my birthplace), Stolac and this beauty; Blagaj. It is truly a gem, yet not many tourists know about this place, making it the perfect getaway from busy Mostar. It is about 12 kilometres from Mostar, yellow buses can take you there or a taxi for about 15km. Ive been to this little piece of heaven 3 times, and even though im not religious you cant help feel spiritual when you are around places like these. Blagaj is a village-town in the south-eastern region of the Mostar basin. The town was most likely named for its mild weather patterns since “blaga” in Bosnian means “mild”. 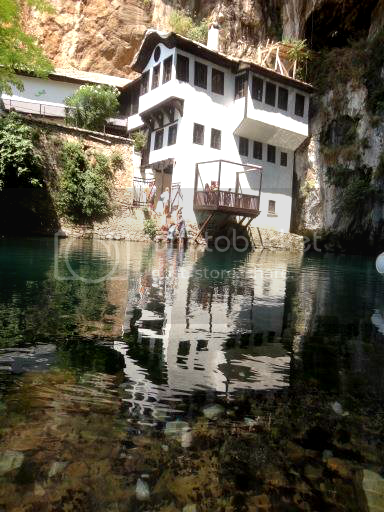 Blagaj is situated at the spring of the Buna river and a historical tekke (tekija or Dervish monastery). 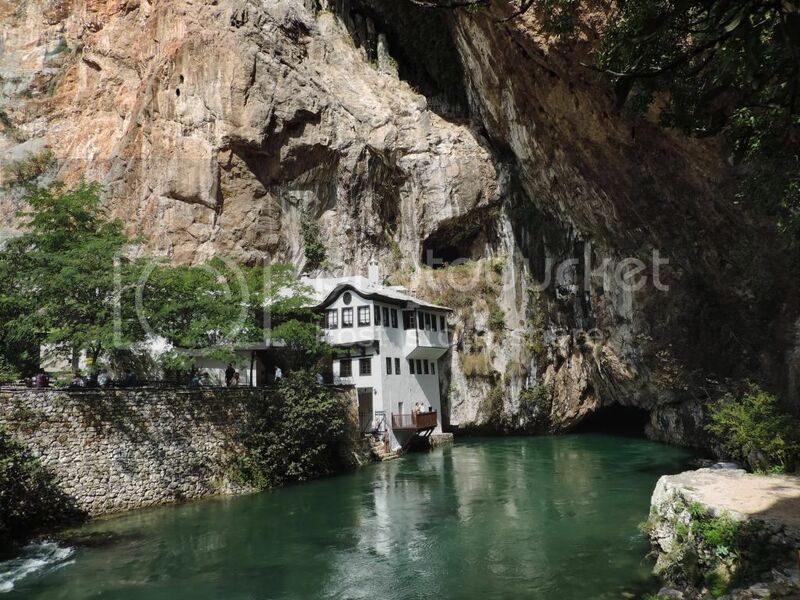 The Blagaj Tekija was built into the 200 metre cliff walls at around in the 1500’s, with elements of Ottoman architecture and Mediterranean style.This dervish monastery with Turkish style elements is the only one in BIH and therefore a national monument. The monastery consisted of various buildings but over the time not all of them survived. The Turkish bath had a heated floor and a transparent dome. The house tour is self guided and depicts how life was like many years ago. 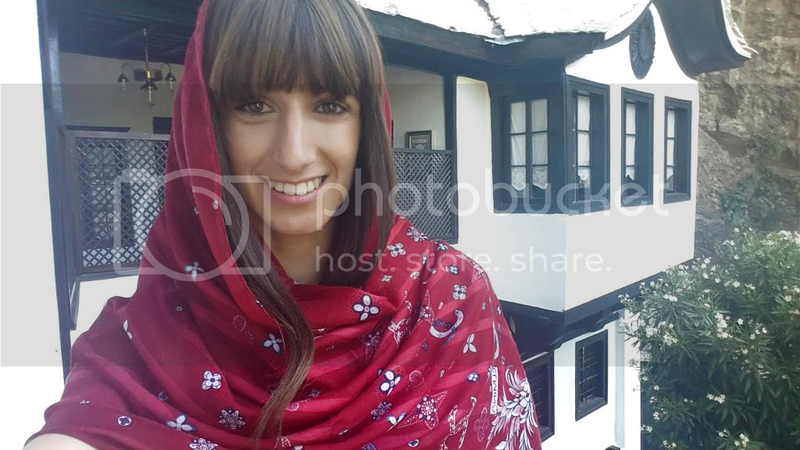 As Bosnia is a Islamic country you are expected to cover up. For men long pants, and women also a head scarf. If you are not prepared, don’t worry they have wrap skirts and scarves provided at the entrance. The source of the river Buna is one of largest in Europe. You can also walk down the steps to the Buna river and there is a metal cup attached to a chain so that you can scoop up the fresh water for a taste. Legend says, you make a wish and take a sip. It is very pure clean water, i filled up a bottle for later. It flows for 9km then joins the Neretva river. There are several cafes/resturants that you can sit at and enjoy the view. One cafe has a nice water platform, just after the bridge. You will need to go past this cave if you want to take the boat ride into the cave. Its amazing to think that with the war happening so close by, this hidden gem, stayed just that; hidden. Thanks to the rocky mountains and high cliffs, Blagaj was untouched by the destruction of the war. On the right side of the source you can pay 3 marks and hire the boat to take you into the Zelena Pecina (green cave). Usually there’s two guides who tell you a short history of the place. The boat ride is short but worth it. Inside it is a lot cooler and darker and home to many pigeons. Ancient human remains have been found in high caves so this area has been inhabited for at least 12,000 years!. In the corner of the cave is where the water is the deepest. I believe the girl said it goes down 30 meters. Me being a not so strong swimmer in depths like that hung on the boat sides pretty tightly. There is also a eco center near by where you can ride donkeys, hire a canoe, kids playground and other nature activities. I walked around for an hour in the heat asking locals where i could find it but for the life of me just couldn’t seem to, so i gave up as i didnt want to miss my last bus out of the town. You can also visit the old fortress of Stjepan city which is situated above Blagaj. This was a city palace enlcosed by hard walls with jagged peaks still seen today. Mersad Donko Photography shows in his 3 part posts the beauty of this old fortified city. Visit My country has amazing virtual 360 degree photos you can view. You can virtually visit the dervish house, look around inside, and around the river buna. its almost like you are there yourself. Have you been to Blagaj? Tell me about your experiences! Wtf you are expected to cover up! Where ? Why were you but nacked then ? I was enjoying your site but that remark made me really angry. Pls change it ! I’m sorry this has made you angry but I didn’t make a mistake there. No need to swear.You are expected to cover up before entering the tekke house which I clearly wrote it’s provided for you, and I am not naked, I’m wearing clothing and I did cover up as soon ares I went inside. I may not be religious but I have respect for all religions despite my atheist views. So I will not be changing what I wrote, sorry. If that offends you I am sorry. 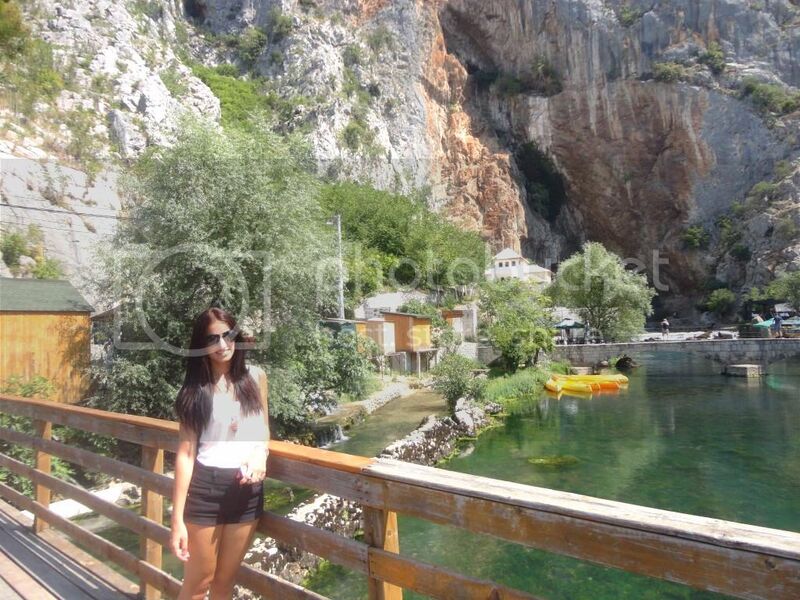 Blagaj seems to be so beautiful! I read about Blagaj for the first time from World of Wanderlust and I think I then ran into your blog on instagram and had to come to check it out. And now you’ve made me want to visit Bosnia&Herzegovina even more, especially Blagaj. My bucketlist keeps getting longer and longer… 😀 Anyhow, a lovely blog you have! it looks incredible! Not somewhere I would immediately think of travelling to but this changed my mind, the water looks so beautiful! Thanks for sharing. Is it possible to stay at the monetary or would I have to stay in a hotel? No you cant stay in at the monastery but check out this place. Its very cheap and i believe only one listed for Blagaj. Also Brooke from World of Wanderlust stayed here, and she gave them awesome reviews. Looks fantastic, having visited Mostar last year during a very brief detour into Bosnia I am determined to go back and see more of the country. It’s important that Bosnia can symbolise more than just a war that I grew up seeing on the TV. That is a hidden gem! I am yet to get to Bosnia, but it’s on my MASSIVE list of places to venture too. Looks gorgeous – if I make it back to BIH, I’ll definitely pencil in a trip here. My name is Ariana and i’m a Bosnian born Aussie who loves exploring her two homes; Sydney- where I have called home for most of my life and my birth country Bosnia and Herzegovina. I’m a mum to a gorgeous little man who is my everything and cant wait to show him more of this beautiful world we live in. Enjoy the guides, tips, personal experiences and inspo and be sure to follow my INSTAGRAM for more photos.